It's only one month to go to the inaugural C&IT Excellence Awards, which will be held at the Natural History Museum on 4 November. Don’t miss out on your chance to join the movers and shakers and celebrate the best of the best in the C&I industry. 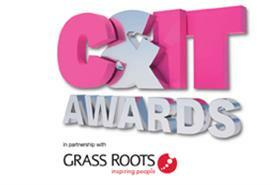 Events for top brands including BMW, Santander, Volvo, RSA, Barcardi and AstraZeneca are among those to have made the shortlist for the inaugural C&IT Excellence Awards. And keep checking www.citmagazine.com in the run up to the big night to find out which events have been shortlisted in which categories.